Many people ask me "How to meditate better? 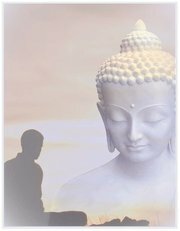 How can I go further, deeper and receive more benefit from my meditations? What I have learned is that everyone can improve their meditation practice greatly, no matter at what stage of learning meditation they are at, by capturing one of two states of mind. The beginners mind is referred to in Zen Buddhism as Shoshin. A lot of emphasis is being put on this teaching of the beginners mind and for a most important reason. A beginners mind is a mind that is open. It is free from preconceived ideas, concepts and beliefs. You can think of a child that is discovering something for the first time...there is this innocence and the child is completely in the moment with it's focus completely wrapped up into what it is discovering. Everything else around the child disappears. That is a great description of the beginners mind. When information or an experience is coming to you and your thinking: " Oh, I know this already" - what happens is you become instantly less open to new information coming to you. You stop yourself from learning something new, maybe something more deeply and more profoundly. Knowledge from the past prevents us from seeing things anew, afresh, like they always are. I think we have all met a person that is an expert at meditation, they have learned so much about it and practiced it for so long but seem to be rigid about their ideas on their own practice as it being "the only way to meditate", "the best way to meditate". "You have to come to my group as it is "IT". At the beginning, learning to meditate is such a beautiful journey. It is so exciting, so many new experiences come and places inside of you are uncovered that you did not even know that were in there. So many new discoveries are unfolding because the person is naturally capturing the state of a beginners mind. Then as a person starts to become an "expert" in the field of meditation and forgets to ask themselves now and then "how to meditate better" the mind becomes less open. I "know how to meditate" becomes an obstacle. So as a long standing meditator it is even of more importance to focus and pay attention to your mind being a beginners mind. It is my mind focused in prayer that has helped me more then anything in my pursuit to the question: "how to meditate better?". A prayerful mind is a mind that is focused on the divine...everything that is truth and from the higher love, the Source. This is the opposite to a mind focused on illusions like untruths, lies, negative thoughts, judgements, hateful thoughts etc. etc. You do not have to believe in God to practice a prayerful mind. A prayerful mind does not need to be with words, it can be a feeling. It does not need to include a famous prayer in any way. The truth about a prayerful mind is that it works. A light version of this is changing your negative thoughts into positive ones. Or having judgmental thoughts change in your mind to ones of understanding and compassion as everyone has a hard day sometimes. Find that heartfelt prayer that is yours, only yours, deep in your heart. Be more sincere and honest. Let your prayer be very specific. Let the feeling and emotions of your spiritual longing be side by side with your prayer...if there are words. "Your most powerful and most immediate tool is prayer"
If you like some inspiration on most powerful prayers...you will find a few here. Put "How to meditate better" into action! Here are some suggestions on what you can do to put these words into action! Whenever you have the thought in your mind: " I know that already!" you stop yourself and do everything you can to stay open. At the beginning of each meditation check yourself and see if you are open. Let go of any expectations about your meditation. Be open for whatever comes. Listen to the inner whispers on what to do, feel or experience in meditation even though it might not "fit" the way you are meditating. Regularly visit other meditation groups and be open and learn. Try out different meditation practices. It is important to be open to all. There is no "one-fits-all". If your teacher or mentor is telling you that his way of teaching or the meditation practice he is guiding you in is the best...think again. Check out other ways of going within. Talk with friends about your meditation practice and experiences...ask a lot of questions and then listen...be open...notice when your mind wants to say "oh, I know that already!". Stay open because the answers to how to meditate better always keep changing as you keep changing. to-top-of "how to meditate better"